Today, the Internet virtually all sites contain advertising. It is in the form of banners and text. A lot of users due to lack of knowledge click on the ads and get to the computer viruses, Trojans and the like. Consider a number of measures to get rid of the ads in "Chrome" browser from Google. In any case, don't click unknown links and banners, however they were not attractive. No need to use Internet Explorer from Microsoft - it's quite infamous, as it contains many vulnerabilities. On that computer, install some Firewall, for example Outpost Firewall. This program will monitor all network activity and will not miss anything from the Internet without your knowledge. Spend every month scanning of your computer free program that allows you Cure It! from Dr. Web she with a high probability to find viruses, if they are on PC. What is Adblock for "Chrome"
Using even the most popular and easy to use browser "Google Chrome", on the Internet you can find lots of advertising. Therefore, skilled people went ahead and created a special extension that removes extra unwanted items out of sight. Destroyed are the text blocks, banners, pop-UPS and the like. In addition, Adblock blocks ads on the service YouTube.com that is an advantage. 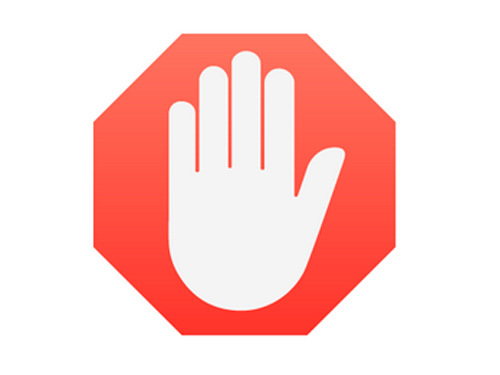 Install Adblock in the browser "Chrome"
If you fit the extension and the decision to get rid of ads accepted finally, is completely free in a few clicks to install this extension. Click on the button “Get Adblock now!” then in the pop up window, click “Add”. After some moments, the extension will already be embedded in your browser and all the sites on the Internet for you to be cleared from the hype. If you still found somewhere in the ad and click the extension's icon (the icon with a white hand on a red background), then select “Block ads on this page”. Next, choose on the website objectionable element and poke it. With the slider in the advanced dialog box to configure the appearance and click “Looks good” and then “Block!”. From this moment Internet advertising is not a hindrance to you!